Jumping into business ownership is daunting. How do you know when it is time to let go of your previous life? How can you be sure that your new endeavor will lead to success? The truth is, there is no end-all, be-all advice regarding the right time to jump all in or whether or not you will be successful. There are things you can do, however, that can increase the odds of fulfilling your dreams. Creating a road map for your business is integral to your success. Not only do you need to know where you are starting from, but you also need to know what your goals are for month 1, month 6, 1 year, and 5 years. Working through these goals can help you to understand what you need to do to reach them. From here, write a list of the top activities that in the end will lead to you reaching your goals. For example, in my business, we need clients. Most of our clients come from personal relationships, referrals, and outbound marketing. In order to be successful, each week I need to reach more prospects or referral partners. Even if I’m swamped with current projects, I need to make sure I am continually touching new businesses. In addition to planning for how you will get your first clients, you also need to plan your offerings. Create a list of all the services you can provide and create sample bundles or packages. What if someone only needs help with one aspect of what you provide, how will you charge? What if they want something you haven’t thought of, but have the skills to tackle, will you create a custom service offering for that client? When I started out, I thought I would only be offering data analysis for marketing efforts. I thought I would be helping clients to understand what works and what doesn’t work as a way to tailor their marketing efforts. Though this is something I do, I was able to listen to my tribe and completely shift my messaging and packages to align with what the market actually needed. Regardless of how much planning you do, your business plan is going to change. We all have cheerleaders. Often in business, however, these cheerleaders are wrong to not give push back. Your idea may not actually be all that great. This isn’t to say that you can’t make it in business, it’s just that someone who always agrees with you isn’t going to get you to the place where you will find the most successes. Though you need to remove negative energy of people pulling you back and second guessing your move to entrepreneurship, you need to also make sure that the positive energy you are surround yourself in is made of people who have been through your same journey and can help give push back when you are approaching a common pitfall. The people you surround yourself with will have a direct effect on your ability to succeed. Find mentors and other business owners who can talk you through marketing, technology, hiring and firing, taxes, etc. Here I mean don’t plan on needing your plan b. Jump head first into your business and don’t get distracted. Though your offerings may change, you need to stay course that you are now a business owner. The most successful businesses take shifts in the market in stride, but never second guess their decision to be in business. Try not to jump ship unless you have some residual income, clients, or savings already in place. As a new business, you don’t want to feel as though you need to work with every prospect you meet and you don’t want to come across as though you are begging for the next gig. Though being on the verge of bankruptcy can motivate some, most of us will become distracted from our daily activities if you need to constantly worry about money. Additionally, make sure you have truthful discussions with your spouse about how spending and budgeting will need to change and be realistic about startup expenses. Things always take longer and cost more than you initially estimate. If you know it is time to jump into your own business, just do it. You only live life once, why not make it the most fulfilling life you can. I think the number one reason why people decide to be a business owner is that they are worried about security, health insurance, managing their time, but when you just jump into it, you learn to make things work. I didn’t set out to be a business owner, but somehow freelancing turned into a full time income. Now I can’t get enough. I encourage all of you with a business idea to give it a shot. Start taking on clients on the side or developing your MVP (minimum viable product). Keep your salary, but work towards being self sufficient. In the end you will thank your employer for funding your budding business. We recognize the value in knocking off top priorities and checking out for the day. We are comfortable going for a run, walk, hike, lunch date in the middle of the day as a way to clear our heads for fresh perspective. Even though we’ve traveled to Europe, Mexico, and across the US, we haven’t taken a REAL vacation in years. We don’t understand why people bog themselves down in minute tasks that should be outsourced. 98% of the time we don’t set an alarm in the morning (if you are a morning person) or go to bed at a decent time (if you are a night owl) because we know when we get the best work done in our daily schedule. We choose only to work with clients who understand that sometimes little Suzie or Johnny needs to come to our meetings. We cut out time every week to further our own education. When we feel the most successful, our values are aligned with the work on our plate. I don’t know, if I had an employee like this, I think I’d jump for joy! The problem is that so many businesses require 8 hours a day. It is a way to build a strong culture and often those who are first into the office and last to leave make a lasting impression on management about how committed they are to the organization. Surely as an employee, you can’t outsource those small repetitive tasks – or can you? Running your own business takes perseverance. Every day you need to make a choice about how you will spend your time. It’s easy to get side-tracked by “shiny object syndrome” or those small tasks that don’t actually result in return. But if you jump all in, you may in fact find that you will never be employable again. Do you find yourself thinking that you are unemployable even though you work harder than anyone else you know? admin https://socialspeaknetwork.com/wp-content/uploads/2018/04/SocialSpeak-Logo.png admin2017-05-05 10:32:302017-05-05 10:32:30Are You Unemployable? Choosing a project management tool as a small business can be quite challenging. The tool should be able to grow with you and integrate into other systems. Especially with remote team members, you need to make sure everyone is on the same page and that you have the ability to take a snapshot quickly of the progress of each project. For a long time, we used Google Spreadsheets to keep track of contractor activities, but soon found this to be too much of a nightmare as we grew. We’ve discovered Asana and Trello to be incredible resources for us and our client teams with whom we are working. Though we all wish Salesforce was within our budget, Trello and Asana both have free platforms that you can utilize as you are just starting out. 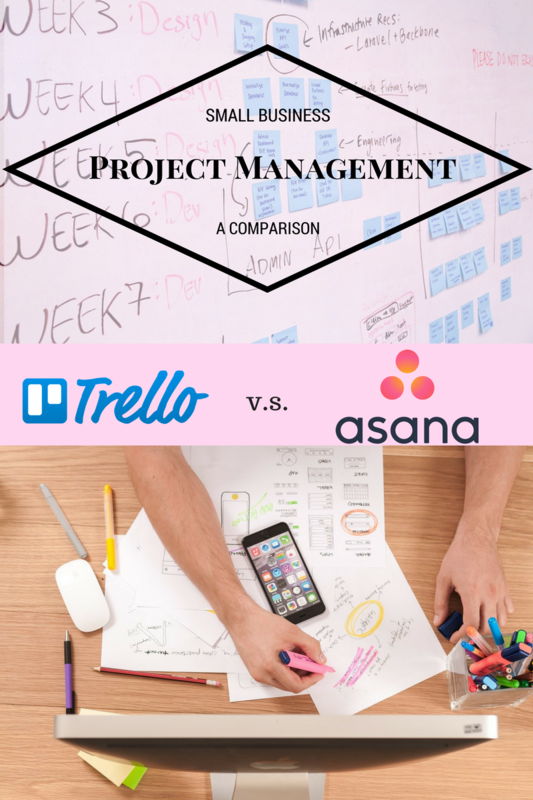 This blog compares the free versions of Asana and Trello to help make your project management app selection process easier as you are starting out with your business. be assigned to one individual, but the task can be saved to multiple Projects. So, if two projects rely on the completion of a single task, you would include this on each. have comments and descriptions making it easy to specifically communicate regarding one item. Projects: Projects are made of all the tasks within one project. You can separate the tasks out into different Sections within the Project. The free version of Asana allows you to create 3 Projects. You can either view the tasks within a project as a Bullet Point checklist or using the Kanban system, which utilizes board to display the information. Organizations or Teams: These are the divisions within Asana. An organization is everyone with a set business email address and then they can be broken out into teams. Within the free platform, you belong to one team, but can also have a personal workspace. Though Asana is a simplistic, it can be difficult to sort through which tasks are due when, specifically with recurring tasks. The future iterations of a task do not appear on your list or calendar until the current iteration is complete. Additionally, the integrations with other applications typically only works with the paid version. Lastly, sub-tasks can be difficult to work with as they can lose their connection to the parent task. For many projects, we’ve moved these subtasks to parent tasks and just named them to make it clear they belong grouped together. 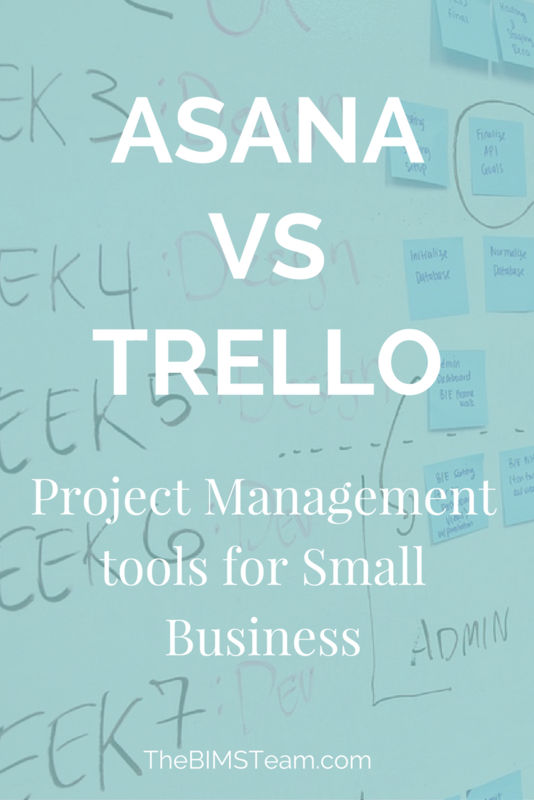 Unlike Asana, Trello is a task management app that only uses the Kanban system to organize projects. It is much like using sticky notes on a white board to create a visual display of upcoming, in process, and completed tasks. Board: A board is a process in development or a project underway. It is made up of Lists and Cards. List: A list is a way to divide a board into different categories. These appear as a vertical stream of cards. We typically use each list as a step in the development process including lists for work in progress, needing approval, and complete. move the card from one list to another until it reaches completion. Though I love the simplistic feel of Trello and how easy it is to visualize your progress, it does become a little messy once you have multiple cards, lists, and boards. When multiple people are assigned to numerous cards, you may lose track of an item that is your responsibility to complete. Lastly, our team has a lot of recurring tasks, making Trello inefficient for us to use as a management system. 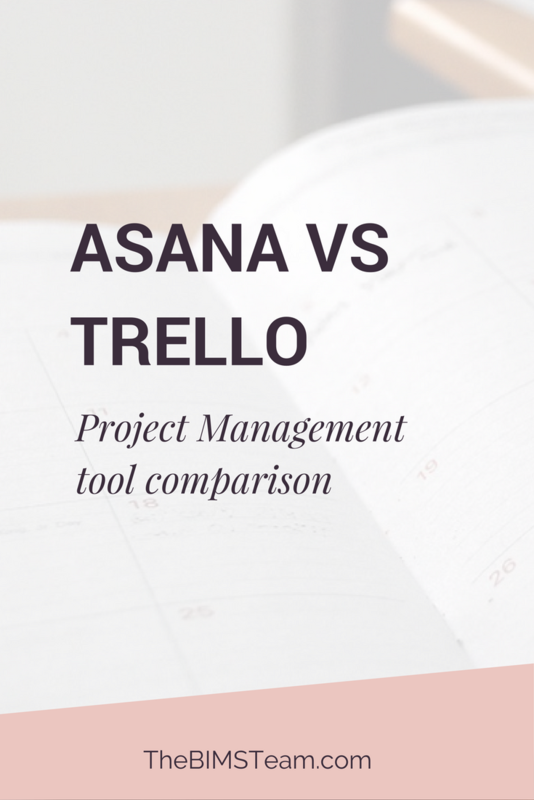 I personally like both Asana and Trello, however we do utilize Asana for managing our own tasks and those for our contractors. This is because you can view items as a list, as calendar due dates, and as boards. Trello really only allows you to view the items through the boards (the Kanban system). Yes it’s great that you can move items between boards easily, but at the same time having that calendar functionality to see when a project is coming up and the ability to see a chart of the progression of a task is a great asset to have for your team. Also, we utilize the recurring due date function within Asana. Either free platform will work for a small team to manage their tasks and I highly recommend checking them both out. Be sure to let us know which you decide to use for your business! As a mom of a one year old it is incredibly important that when I am working I know exactly what needs to be accomplished and I have a framework for completing the tasks at hand. I’ve always been fairly good at not procrastinating, but I won’t say excellent, at prioritizing the things I need to get done. However, working from home with my daughter has proven to be quite challenging over the course of the year! For one, you never know if the nap is going to go longer or shorter than expected. Then there is the constant distraction of her learning new skills and growing to be more independent. Many of our clients, may second guess our decision to have Mary Catherine home while I work, however one of our big goals was that she would not have to be in daycare for the first year. Trust me, now that she is 12.5 months old, we are now looking at other options! I have found the following steps to be essential to getting high caliber work done on time. Tip one: First prioritize your day. The night before I always create a list of the things that need to be accomplished the following day. From this list I know what are the top priority tasks. This helps me figure out those top three things that my business would not function without and what I could potentially hand off to one of our contractors. One way to prioritize your tasks is through the Bullet Journal technique. While I haven’t implemented this, folks I know who have found it to be incredibly helpful! Tip two: Keep track of filler tasks. 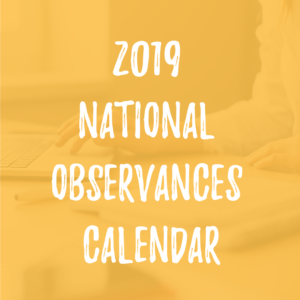 In addition to the tasks that I know need to get done on a specific day, I also know the tasks that are outstanding but don’t need to be tackled immediately. There are additionally things that need to be done every week, but the day doesn’t really matter quite as much. These items I call my filler tasks. Filler tasks work wonderfully if Mary Catherine sleeps later than expected or is happy playing by herself, but still needs me to check in on her every once in a while. Tip three: Structure around naps. This next tip is combining the tasks above. My day is structured where my goal during Mary Catherine’s nap is to complete as many of the top priorities as possible. When she sleeps longer I can fill the time with filler tasks. Additionally, during other parts of the day when I can concentrate on multiple items at once, I do these filler tasks, as well. However, at times if Mary Catherine’s naps are much shorter than usual, I’ll need to tackle my list once my husband gets home from work and finish up the top priorities from the day. The worst, as I’m sure many of you have experience, is when you have multiple days of short naps and it feels like nothing ever gets done! During these days I put away my computer and just focus on Mary Catherine and the dog – hello work on weekends! We are often chatting with new business owners about their pricing. No, this doesn’t necessarily relate directly to marketing, however, it is important to make sure that your business aligns with the market rates and what you’re worth. In business school we learned about various models to formulate your pricing, however in real life this can be a lot simpler then how the large corporations do it. There are three, techniques that we often see businesses use. These include using your cost plus a margin, setting prices at the competitive rate, and just choosing a random value. Let’s look at each of these more closely to see how your business can benefit from utilizing them. The process here is to figure out the costs of all components of your product or service and add a percent margin over this cost. if you are a dropship store or retail store this is often figured out for you. The wholesale business will often tell you a MAP pricing or minimal pricing that you can sell the product at or the typical MRSP. If you have a product take a look at the sourcing costs, packaging costs, shipping costs, and admin costs. Add these all up and then increase the price to have a margin of between 30% and 50%. For a service-based business, you can use a similar frame of thought. Except, rather than adding up the cost of the product, you’ll be adding up the time that it takes to complete all of the different requirements with in a proposal and multiply by your hourly rate. The first step here is to write a list of everything, and I mean everything, that you do for a given client with in that package. When we double checked our calculations for packages this way, we include things ranging from adding the SEO to a blog post, to adding Twitter followers, and costs that we incur with advertising expenses. Our team even built a tool that we utilize that takes into consideration the other pricing models, as well. For any new client, we build the proposal off at this template. We are currently in the process of building this tool for other service based businesses as well! Please contact me if you are interested in learning more. The next obvious question here is how do you figure out your hourly rate. You will want to calculate this a few ways. First is figuring out how much you’d like to make every year and how many “billable” hours you expect (or would like) to work each week. How does that hourly rate look? A little high? What about all the other hours you will work prospecting, marketing, and in business development? If the hourly rate number is within your industry standards or low, rethink the assumptions that you made. Do you really want to set your goal that low? We also always recommend brainstorming other ways that you can bring income into your business that doesn’t require your time and energy. Competitive pricing is taking the same prices that your competitors use for their business. It’s often an easy way to get started, however, it can also tie you down. Before you simply choose the same price as your competitor, think about your brand. Do you want to be the lowest cost alternative and maybe get more volume? Or do you want to be seen as a luxury good or service? The same product can be sold at many very different price points depending on how you position your marketing and your brand. Being mindful of this when you first roll out a service will help you with optimizing your marketing strategy and type of client. Before simply researching what rate the others are charging, first decide if you want to position yourself as low-end or high-end. You know your industry, so you may have a gut reaction or sense of what you should charge for your product or service. While I don’t recommend choosing a random number without doing research to back up your decision, often times you will be in the right ballpark. Just work your way back through to make sure you won’t be losing money in the long run! None of these methods include the value You bring to the table. Sure you can build that into any of the techniques, but it often is overlooked. We once were hired to fill out keywords, meta titles, and meta descriptions for a site with over 40,000 listings that needed to be cataloged. I was to create the initial batch and teach their intern how to complete the remaining 39,900. The page content was all in a spreadsheet, so I created a variety of IF functions and a legend to combine different characteristics of the page to automatically create the SEO information directly on the sheet. An hour getting the formulas working properly and teaching the intern how to replicate the functions saved the company an estimated 100+ hours. In hindsight, I should have learned more about their project and charged based on the value I was bringing to the table. How did you decide to set your pricing structure?